On August 12th, 2012, Jennifer and David were married at the Deerfield Golf Club in Newark, Delaware. 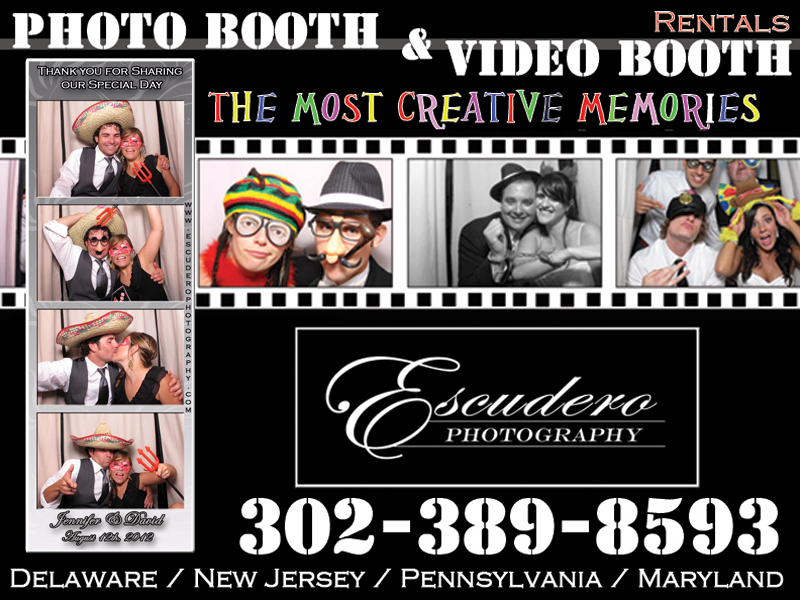 They rented an Escudero Photography photo booth for their wedding reception. It was the perfect activity for their guests and luckily it is something everyone can enjoy. Due to our photo booth’s design and structure, it is able to accommodate wheelchairs and walkers making it handicap accessible. Other booths may not be able to offer this ease of use to all the guests. Our wooden bench is easily taken in and out of the booth, so not only wheelchairs can fit but large bridal parties as well. Jennifer and David met in 2004, when they both took part in Disney on Ice together. They’ve maintained their relationship since then, which often meant long distances in opposite directions. Their wedding was a beautiful union that every guest was able to celebrate. Guests from as far as California and Texas were thrilled to see their friends finally tie the knot. 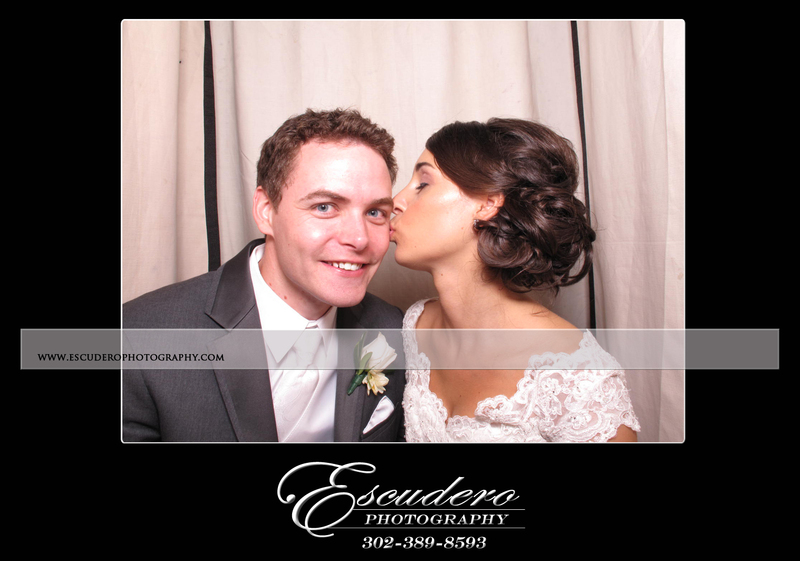 Make Escudero Photography a part of your love story. 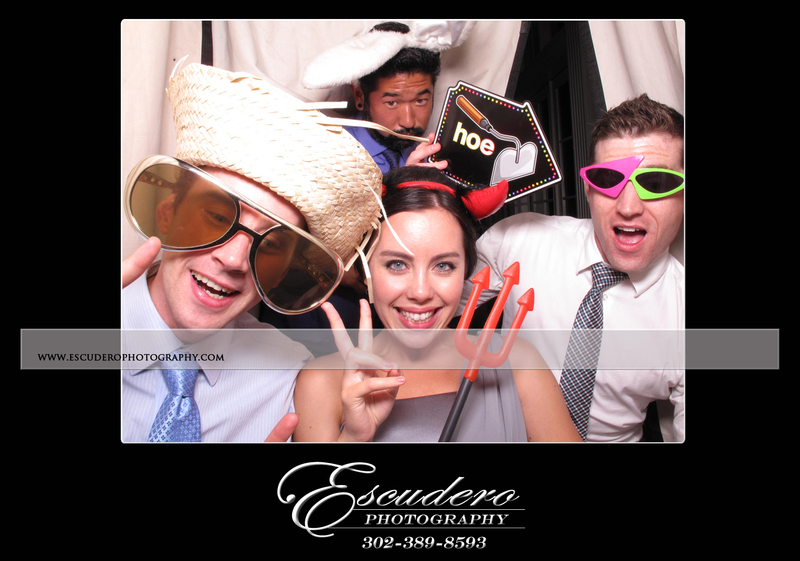 From out photo booth rental services to our professional wedding photographers, we have everything to fit your event’s picture needs! This entry was posted in Photo Booth and tagged Deerfield Country Club, deerfield golf club, delaware photo booth, newark delaware. Bookmark the permalink.